You’re up to your eyeballs in excess clothing and household items. No worries! Our arms are open for donations! Shopping is only one way to serve your community. Monetary gifts are always in vogue! 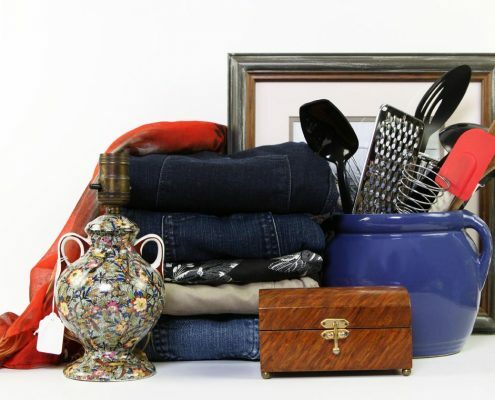 Plus, you’re welcome to donate gently-used items you no longer need. Whether it’s a dining room table you have no room for, or a prom dress your daughter wouldn’t dare be caught in twice, it might just be at the top of another savvy shopper’s list! We thank you for your generosity. Why not let the IRS thank you, too! Your donations are tax deductible. Be sure to ask a store associate for a tax receipt.